‘Tis the season for tulips! The front garden is crammed with them, we’ve got pots on the patio bursting with them and how handsome they look! This year, Ade’s grown several varieties including ‘Dreaming Maid’ (above), ‘Pink Diamond’ and ‘Apricot Beauty’. What’s really lovely though, is that the ‘mystery’ tulips that I was given by a kindly gardener in Soho last spring, are also beginning to pop through. These bulbs were destined to be thrown away by the council after they’d flowered last May. We were more than happy to give them a new home, and it’s a pleasure to see them flourishing. How are your tulips doing? My tulips opened just today. 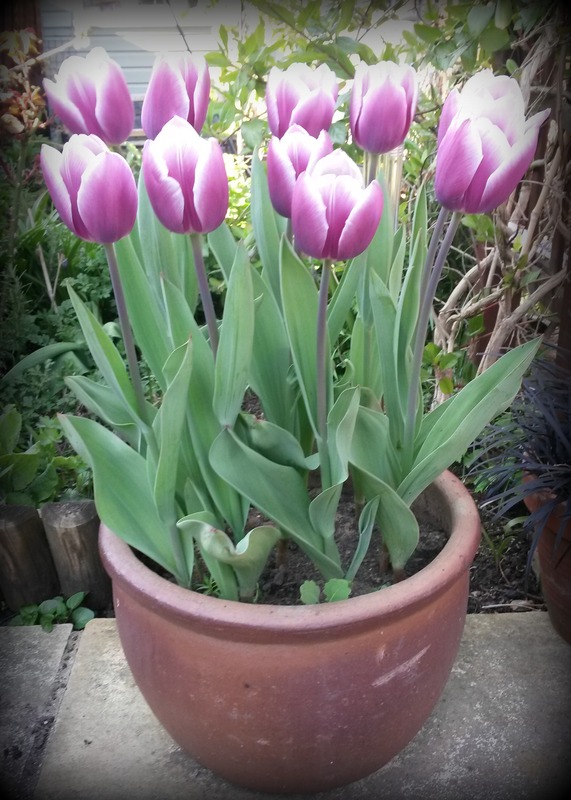 I’m a bit disappointed with the colour – rather washed out looking – but maybe the bulbs will improve with age? !